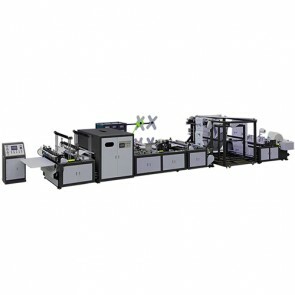 Flexographic printing machine uses fluid ink, which is more liquid. Ink from the ink roller and reticulate ink roller to the printed version of the graphic part and make it ink. Then the impression cylinder press , let the printing plate of the ink transfer to the substrate. Finally, finish printing through the dry surface. 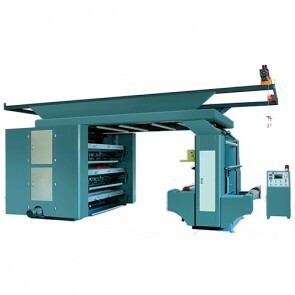 The printing section is the core of the flexographic printing machine. Printed part of the arrangement directly affect the operating performance and printing quality. Printing speed and printing of the scope of application is also affected by the printed part. 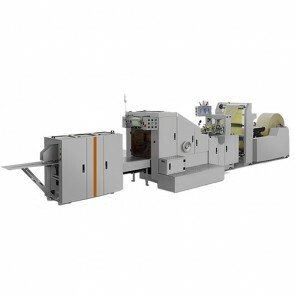 According to the arrangement of printing parts, flexographic can be divided into three categories. 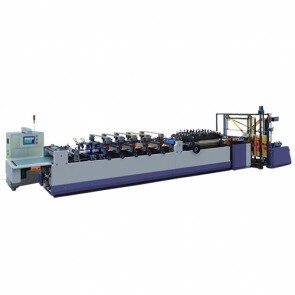 They are satellite flexographic printing machine, unit-typed flexographic printing machine and stack flexographic machine. 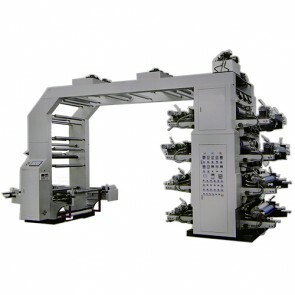 Stack flexographic printing machine sometimes is also called accumulated flexographic printing machine. 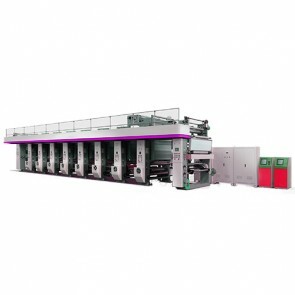 There are independent printing unit up and down, arranges at one or both ends of the main wall panel of the printing machine. Or install various colors printing units on the rack. 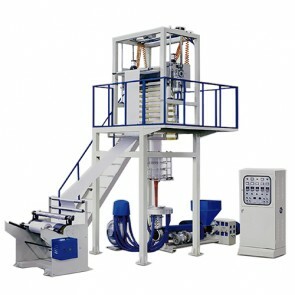 Each printing unit is rotated by a gear mounted on the main wall panel. 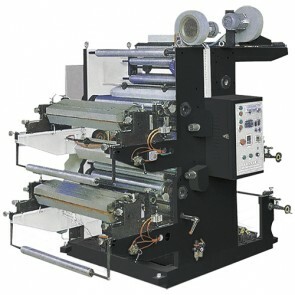 Stack flexographic printing machine can print 1-8 colors, but is usually 6 colors. 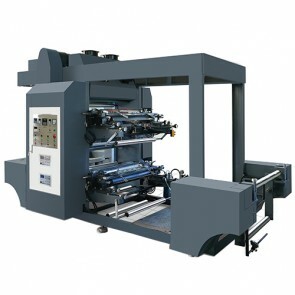 Satellite flexographic printing machine sometimes becomes a common impression roller flexographic printing machine. 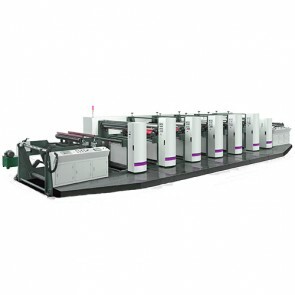 Each printing unit move around a common impression cylinder, which is installed in between the two panels. The printing material is printed around a common impression cylinder. Because the gears are directly driven, it is possible to print on paper or film, even if no special controls are attached. 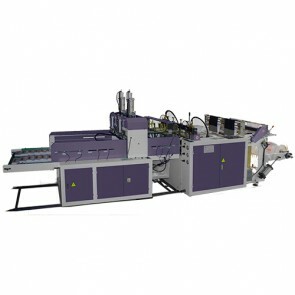 The printing process is stable and is often used to print color products. 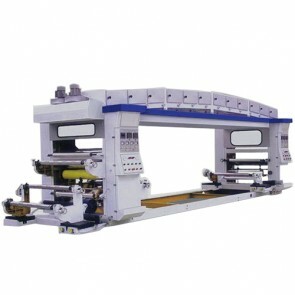 Unit-typed flexographic printing machine consists of a line connecting type flexographic printing machine, which is composed of 4-8 independent and horizontally arranged and driven by a common power shaft.